Flood insurance costs for home buyers in coastal areas may be a deal breaker. There are over a million homeowners located in along the coastlines and riverbanks of the United States. Most will see significant increases in their flood insurance costs. Home owners in these areas are being rocked by federal flood insurance costs rate hikes. The flood Insurance Reform Act of July 2012 was passed in the wake of devastating storms. One home owner on Pete Beach, a barrier island community off Florida’s west coast, suffered a major shock. A 9 fold increase in their flood insurance costs. On October 1, 2012 the flood insurance costs for a modest 1950s concrete-block, ranch-style home on the waterfront will increase from $1,700 to $15,000 over the next few years. Interestingly, the home has never flooded. Should the home owner choose to sell the home, or if the policy should lapse, the new rate would apply immediately. Interestingly, Congress passed the law just months before Superstorm Sandy struck the northeastern coast in October, 2012. The law was passed in an attempt to balance a $24 billion deficit in the National Flood Insurance Program. Long in a deficit position, the losses from Hurricane Katrina in New Orleans in 2005 along with recent earlier disasters made losses sky rocket. Once the higher rates go into effect many believe home values may be cut in half. Home owners will have a tough time selling their homes since flood insurance is required by mortgage lenders. The flood insurance costs hike is intended to make property owners pay for the actual risk of residing in significant flood hazard areas. This directly effects the coastal areas of Florida, New Jersey, New York, Texas and Louisiana. Other areas prone to river flooding will also be effected. The law requires the Federal Emergency Management Agency (FEMA) to phase out insurance subsidies. Subsidies to flood insurance costs have been in place for years. Many home owners in high-risk flood zones have received subsidies since before the federal flood insurance rate maps and building standards were put in place. Florida has more than a 25% of the 1.1 million subsidized properties in the United States. The low-lying coastal area of County west of Tampa is ground zero. This area includes St Pete Beach. Over a third of the county’s 142,000 properties with flood insurance costs have subsidized rates. This is reported by Florida Association of Insurance Agents. The law follows a nationwide flood zone re-mapping effort. New maps with wider flood hazard zones exposed many home owners to higher flood insurance costs. Although, 80 % of the 5.6 million properties nationwide covered by the $1.12 trillion program comply with existing standards and would not have increases in their flood insurance costs. At least not for the time being. That is what FEMA director Craig Fugate told a hearing of the U.S. Senate Banking, Housing and Urban Affairs Committee on September 18, 2012. However, Fugate said the flood insurance costs for those homeowners in compliance could go up too if new maps reveal higher flood risks. Hit hardest by the rate hike are people who bought a home with subsidized insurance after the law’s passage on July 6, 2012. Those new buyers must pay full-risk rates starting October 1, according to a timeline on FEMA’s website. For those with subsidized flood insurance policies on businesses and homes that have had severe or repetitive loss will face 25 percent rate increases annually on policy renewals after October 1, until rates reflect true flood risk. Owners of secondary and vacation homes have already experienced the first 25 per cent rate hikes in subsidized policies that renewed after January 1, 2013. All other subsidized policyholders in high-risk flood zones can expect rates to rise about 16 to 17 per cent next year. Increases in flood insurance costs after that are uncertain since, but Biggert-Waters raised the annual cap on future flood insurance costs from 10 per cent to 20 per cent. One Pinellas County couple who purchased a home close to the bay last month learned that flood insurance on the modest $205,000 farmhouse will skyrocket from $1,900 to almost $8,000. “It was a shock, we were in the middle of closing when we found out said a recent home buyer. The 1925 farmhouse sits 5 feet above sea level and had never been flooded. The buyers went ahead with the purchase hoping for a reprieve in the higher flood insurance costs. A realtor in St. Pete Beach felt blindsided after she helped sell a beach home after the passage of the Biggert-Waters Act.The home was hit with a $23,000 flood insurance premium. Considering buying a home in Florida or another coastal area? 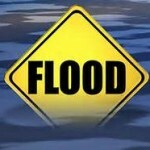 Be sure to figure in flood insurance costs for now and in the future. If a lower flood risk area is more to your liking, consider Tucson Arizona. Some areas of Tucson are required to have flood insurance, but not many. So if you are considering Arizona as a place to retire or looking for a Tucson Arizona home, we can help! Sign UP to receive daily HOME TRACKER UPDATES – OR – Our Monthly NEWSLETTER – OR – Tucson Real Estate INFORMATION. And get regular updates on the Real Estate Market and events in Tucson, AZ. Questions about the Tucson Real Estate Market or Tucson Homes for Sale? Call Us – 520 940 4541 OR complete the – CONTACT FORM – and we will get right back to you! Premier Tucson Homes | Powered by Mantra & WordPress.